Apple’s iPad 2 has caused a real stir in the tech community, nowhere more so than Apple’s tablet competitors. 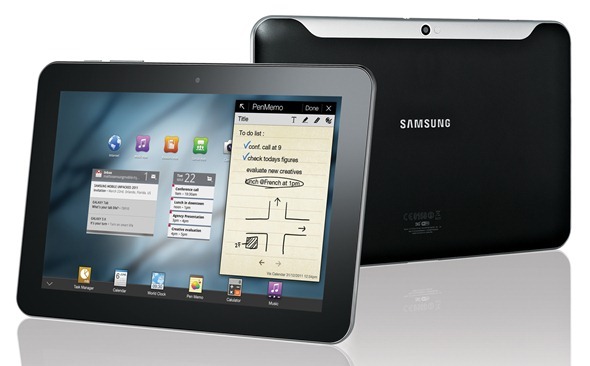 Now Samsung has announced their new Galaxy Tab 8.9 and a redesigned 10.1 today, complete with iPad 2-like thin-ness. The two tablets, unsurprisingly in 8.9 and 10.1-inch guises both sport impressive hardware specifications, but most impressive is the thickness of the two slates – or the lack of it. Measuring just 0.33-inches thick each, the two Tabs are the first slate machines announced that manage to best Apple’s iPad 2 (0.34-inches) in the girth stakes. We’re just getting used to the iPad’s dimensions and Samsung manages to come up with something even more impressive. Can tablets get even thinner? Hopefully not – any thinner and we’ll be tempted to roll them up and stick them in our back pockets like a newspaper! Going back to those specifications for a minute, the two new Tabs sport Dual-Core 1GHz CPUs, along with 16GB and 32GB storage options. Two cameras are also included with one 2 megapixel unit on the front and an LED flash-equipped 3 megapixel affair around the back. As is all the rage these days, both machine will run the latest Honeycomb release of Android with Samsung’s own TouchWiz skin draped over it. 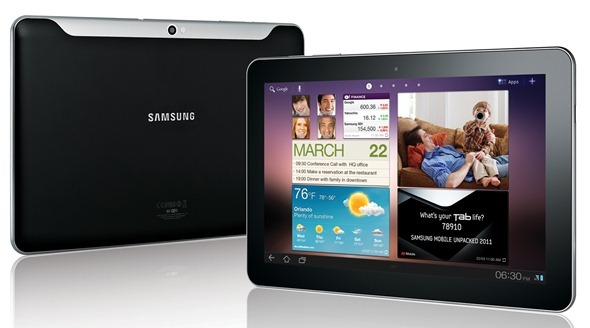 Pricing and availability pits the Galaxy Tab 10.1 right up against the iPad 2. Options are 16GB of storage for $499 and 32GB for $599. The 10.1 will will be available to buy from June 8th. Samsung is being a little more coy when it comes to the 8.9-inch model, however. No release date has been announced as yet, but expect pricing of $469 for 16GB and $569 for the 32GB version. If these two Samsung tablets are the first in a line of iPad 2 competitors, we can’t wait to see what OEMs come up with throughout 2011! The GALAXY Tab 10.1 and 8.9 will include an industry leading suite of solutions designed to give enterprise customers and IT managers more security. Developed in collaboration with industry-leading partners such as Cisco, Sybase, SAP and Citrix, Samsung′s enterprise mobility solutions will provide flexibility and connectivity for mobile workforces, ensuring that users are able to operate more efficiently on–the-move.